“When she was four-months-old they told us she needed a liver transplant. The last eight years, I spent everything I had on just keeping her alive till we could arrange a transplant. 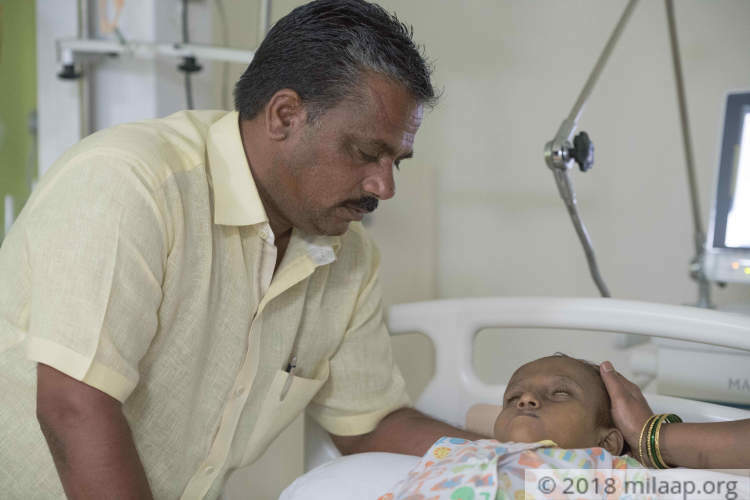 But she is so sick that there is no more time.” - Kiran, Rajnandini's father. Little Rajnandini is the light of her parents' life. Through the years, they watched her grow with a dread in their hearts. Their little girl has had liver disease since birth. 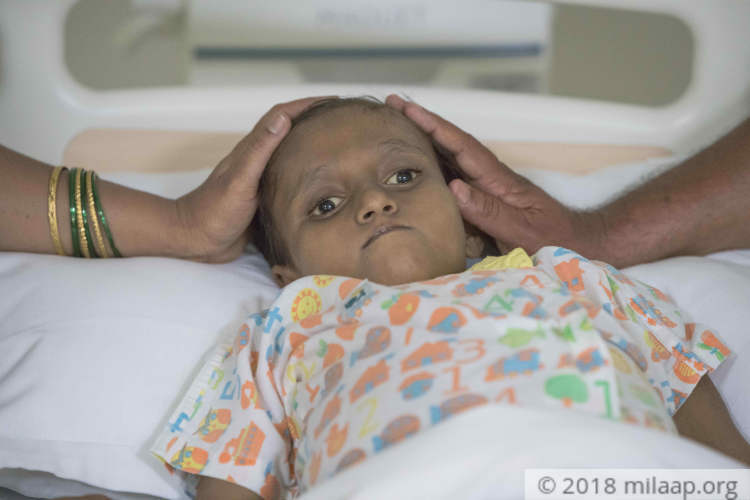 Despite two surgeries, she is now in the last stage and medicines are no longer enough to keep her alive. She needs an immediate liver transplant. Rajnandini did not stand or even sit up till she was 3-year-old. Even when she grew strong enough to walk, she had a lot of vomiting, indigestion and stomach and lung infections. 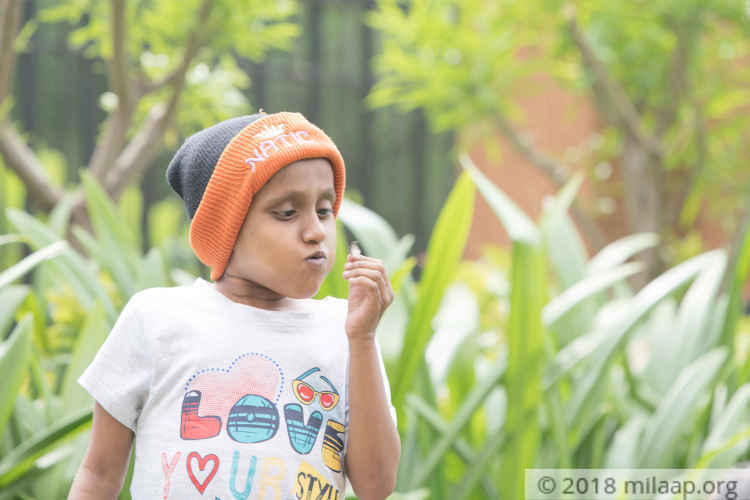 Her parents have devoted so much time to taking care of her that Rajnandini's older brother sometimes feels neglected. “Ever since they told us that her liver was damaged, we have been very careful with her health. She gets such high fevers all the time – 102-105 degrees. We follow a strict diet that her body can handle. My daughter is very precious to me – I have never stopped trying to save her.” – Kiran. 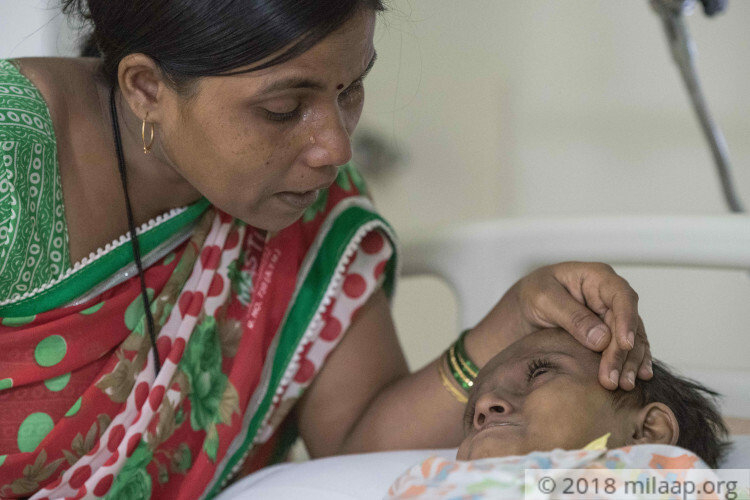 Despite battling constant jaundice, fevers and infections all her life, Rajnandini is full of life. Her parents are amazed at how many dreams their little girl has. She loves dancing, fashion and drawing. But her biggest happiness is reading and studying. She insists on going to school no matter how sick she gets. “My daughter is very smart – she has the passion for reading. When she is very sick, she'll take some rest, get up and pick up her books again. Even when she is admitted to the hospital, with the needle in her had, she wants her books – at least her drawing book to write on.” – Arati, Rajnandini's mother. Kiran is a truck driver from Aurwad, a small village near Kolhapur. For his daughter, he is always near home and does not earn more than Rs 5,000 a month. His worst fears are coming true as Rajnandini's health has started to fail. Two weeks back, her stomach filled up with fluid. She was rushed to the hospital to get the water removed. 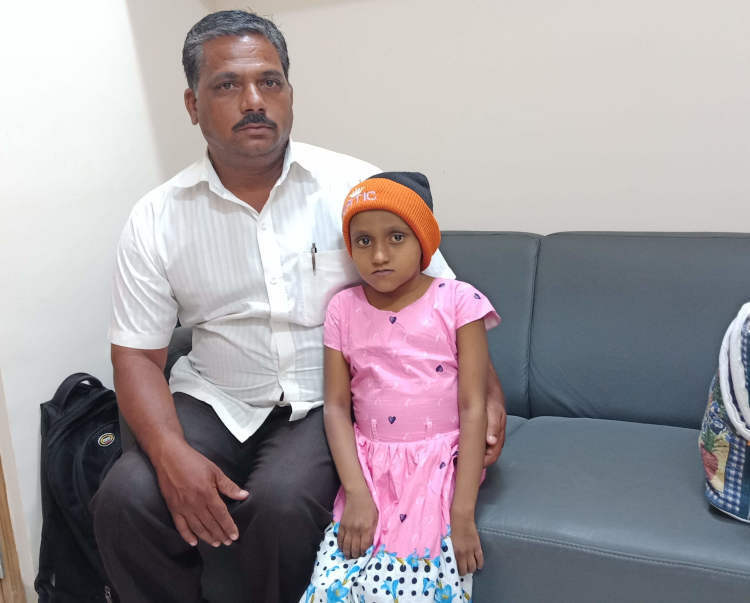 Rajnandini has the end-stage liver disease. Her liver is completely damaged. “Her condition is getting worse in front of our eyes. It is our only option. She keeps telling us that it hurts. We can't even cry, because if we cry, our little girl will start crying too. We don't have a choice but to be strong. 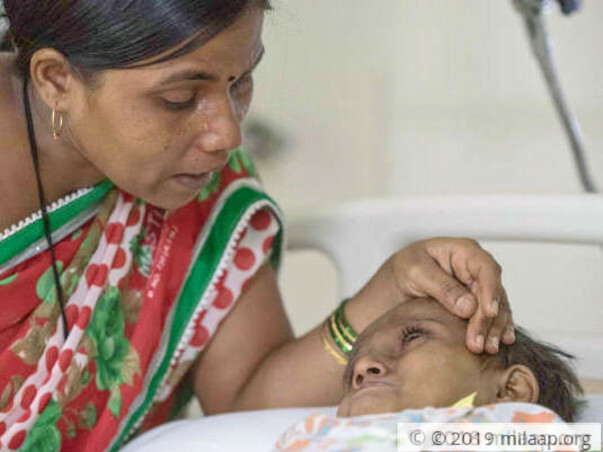 It is the only way we can save our daughter.” – Arati. 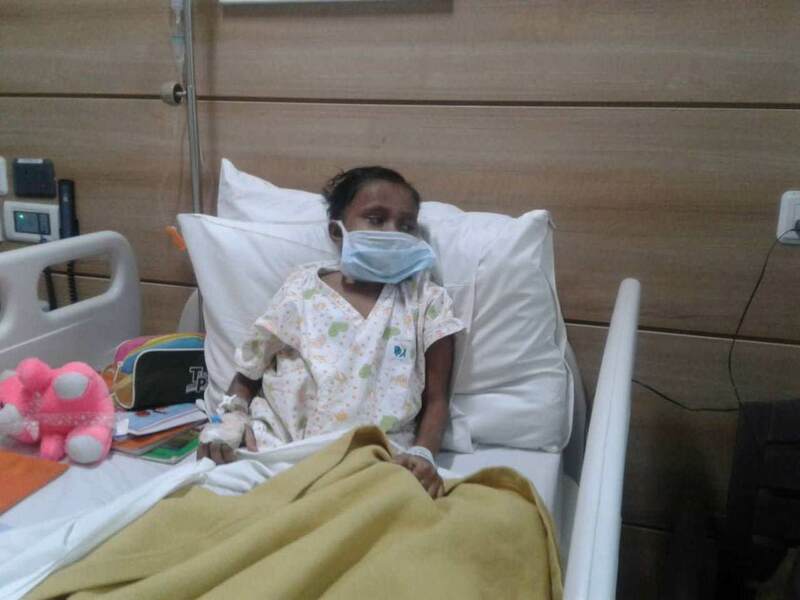 Since Rajnandini's condition worsened, Kiran has spent over Rs 2 lakhs on treatment and tests alone. This was the money he had carefully saved hoping to use it for her liver transplant. Her mother is found to be a fit donor and a transplant needs to be arranged at the earliest. Rajnandini is at home and is doing well. She was discharged last week and is receiving medication. She has been asked to come for regular check ups and follow up visits. 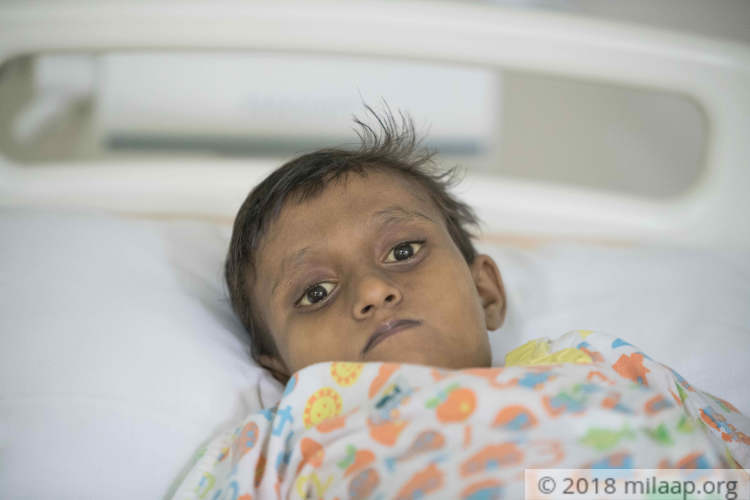 Rajnandini underwent a successful transplant surgery, however post-transplant she developed fever and jaundice for which she was hospitalized. Doctors have suggested that she will undergo a few tests and she will remain on antibiotics. We're really thankful to each one of you for the love and support which you have shown towards us, please pray for her speedy recovery. Thank you so much for the support you have shown towards Rajnandini so far. 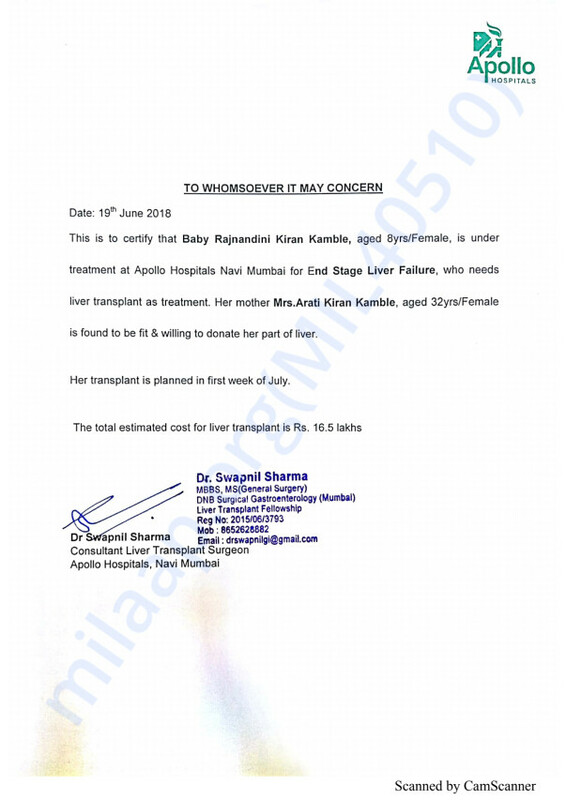 Her mother was the donor and the transplant underwent successfully. 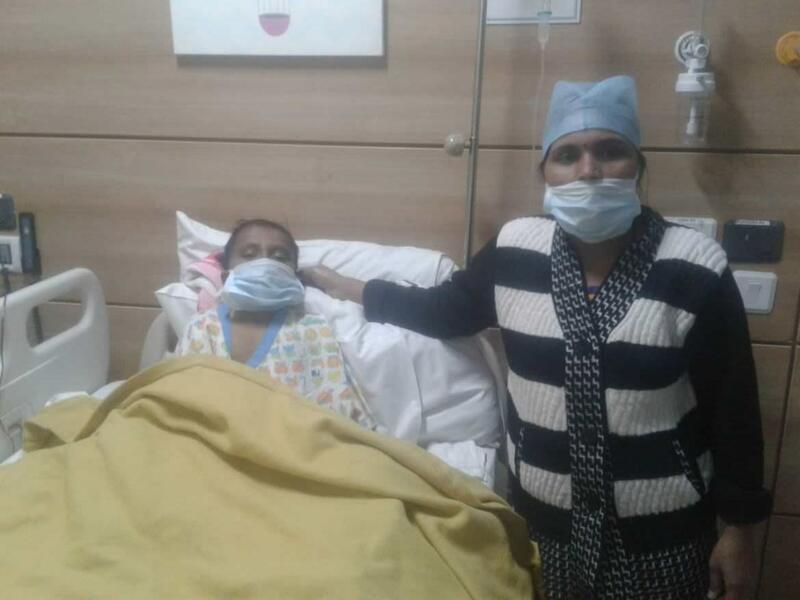 Both mother and Rajnandini are recovering well. We will keep you posted on her condition further. May god give her strength to overcome this battle and get well her soon.